Nightly Deals Round Up December 15th! Here are the deals for December 15th. Most of these deals are super hot and I recommend purchasing now before they are gone. •Walmart Cyber Monday 2.0 Deals - Electronics, Toys, Video Games & More! •Crocs - 25% off Sitewide & More! •dELiA*s Store Closing - 40-60% OFF! •Shoes.com - 25% off + Free Shipping! •The Limited - BOGO Jewlery, 50% Off & More! •Amazon 12 Days of Deals 12/15 - Entertainment! •Amazon - Blu-ray Movies Under $10! •Amazon - Kindle Fire HDX 8.9" Tablets $125 Off + Free Shipping! •Best Buy - Microsoft Surface Pro 3 - 12" - Intel Core i5 - 128GB $999.99 & $100 Gift Card + Free Shipping! •*HOT* GoPro HERO4 Black 4K Action Camera $499.99 (Retail $549.99) + $50 Gift Card! •*HOT* Nintendo DS - 3 for $20 Value Game Bundle! 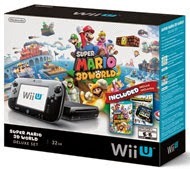 •Nintendo Wii U Deluxe Set with Super Mario 3D World and Nintendo Land 32GB $249! •Xbox 360 - Family Favorites Value Game Bundle $28! •Cheryl's Cookies - Up to 30% off + Free Shipping! •Tiny Prints up to 30% off! 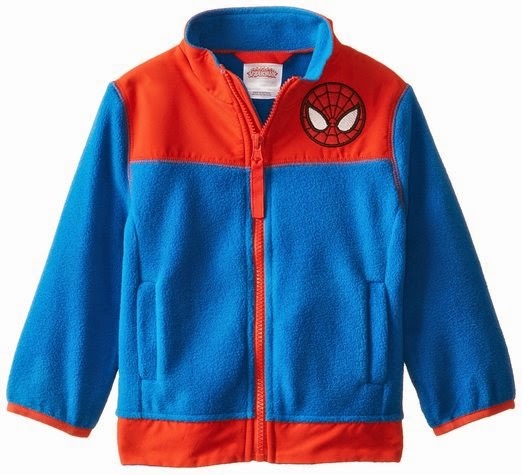 The Children's Place just announced a Flash Sale with EVERYTHING 50% Off, plus Free Shipping. No coupon needed, can not be combined with any other offer. Items and sizes will sell out quickly. Amazon - Blu-ray Movies Under $10! Looking for movie deals? Amazon has a huge selection of Blu-ray movies under $10 each. My little girl LOVES horses! Check out this Melissa &amp; Doug Show-Horse Stable for $19.49 (Retail $29.99)! Head over and check out this Skylanders Giants Starter Kit with Extra Figure for PS3, Wii, Wii U, Xbox 360, or Xbox 360 Bilingual From $29.99! HOT Gift Ideas! Hurry over and check out this awesome Snap Circuits Jr SC-100 Science Kit for $20.99 (Retail $34.99)! This set had a 5 star rating and a best seller. My 10 year old boy will LOVE this! The Limited - BOGO Jewlery, 50% Off & More! Today and tomorrow only, take advantage of Buy 1 Get 1 Free full price jewelry, $15 and Up select sweaters, 50% off all full price items, and Gifting Delights starting at $5 at The Limited! Offers end 12/16. 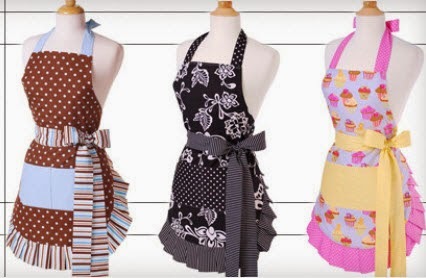 Now through 12/22, Flirty Apron is offering 70% off All Aprons with coupon code HOLIDAY70. After this promo code you will be able to score Kid's Aprons for as low as $5.98 and Women's Aprons for as low as $8.08! I would hurry though, sizes and styles are going to go quick! 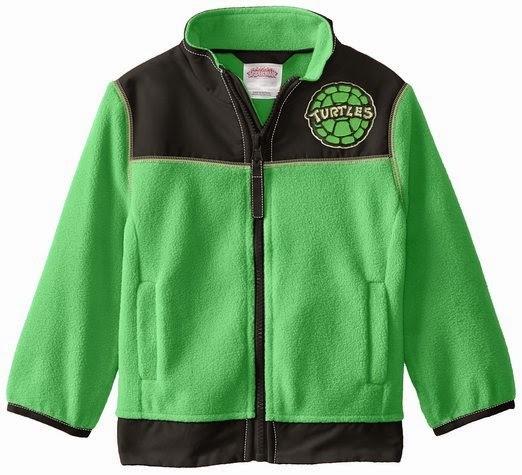 Right now you can get select sizes of these Dreamwave Super Hero Polar Fleece Jackets for ONLY $11.99 (Retail $40.99). BUT...you can make this deal even better! Use promo code 25OFFWNTR at checkout to take an additional 25% off at checkout, bringing the price down to only $8.99. Choose from SpiderMan, Batman, or TMNT! Sizes range from 2T to 5T with price ranging by size. This is the LOWEST PRICE I have seen on this! 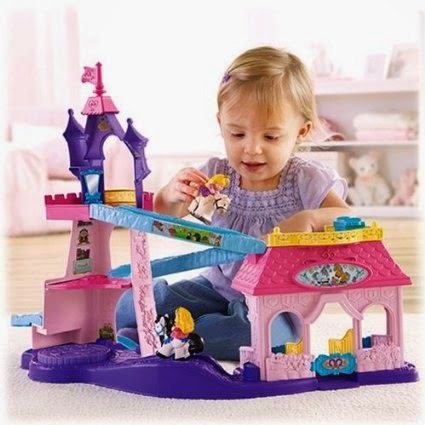 Hurry over to get this Fisher-Price Little People Disney Princess Klip Klop Stable for ONLY $19.99 (Retail $39.99)! Be sure to check out the deals on some of the Little People Klip Klop Princesses to go with it! Tiny Prints up to 30% off! Calling all last minute shoppers who haven't sent your Christmas cards yet! Today is the last day to get an awesome photo gift from Tiny Prints in time for Christmas...at least without paying an arm and a leg for shipping. If you order today, you can still get your order shipped by Christmas Eve, guaranteed in the lower 48 states. And if your order is more than $49, your shipping is free with the code FREESHIP49. So check them out and also make sure to use the code 30SWDEAL to save up to 30% on your entire order! Nintendo Wii U Deluxe Set with Super Mario 3D World and Nintendo Land 32GB $249! HURRY HURRY HURRY! Get this 32 GB Nintendo Wii U Deluxe Set with Super Mario 3D World and Nintendo Land for ONLY $249! Add it to your cart and it drops to $249! This is the lowest price I have seen on this bundle! This is sold out online but you can choose store pick up and get it at this price. Get in on all the fun and action in a whole new way with a Nintendo Wii U 32GB Deluxe Set with Super Mario 3D World and Nintendo Land. Wii U breaks down barriers between you and your entertainment with an interactive, 6.2" LCD GamePad with touch screen, motion control, front-facing camera, microphone, stereo speakers, rumble feature, button controls and analog sticks for a revolutionized way to play. The Wii U console works with most games from the original Wii gaming system, as well as the Wii remote, balance board and many other Wii accessories so you can continue to enjoy your favorite Wii features. Loaded with 32GB of memory, this awesome Wi-Fi enabled Nintendo Wii U also includes Super Mario 3D World and Nintendo Land so you start experiencing the fun right away. dELiA*s Store Closing - 40-60% OFF! All dELiA*s stores are closing. Now through December 17th, save 40% to 60% Off EVERYTHING! Online & In Stores. No promo code needed. Plus, get free shipping on orders over $75 with code: DHN. Hurry, though, I'm sure stock will start to sell out quickly. One of my favorite deals is the Zip Pocket Peacoat for only $35.99 (Retail $89.90). Crocs - 25% off Sitewide & More! Today only, save 25% Off Sitewide with code SAVE25 at Crocs.com. Plus, get 2 for $20 Crocs Team products including World Cup, MLB, and Collegiate with code 2FOR20. Shipping is Free on orders $24.99 or more. Do the kids need new shoes? Today only, take 15% off 1 item + Free Shipping with Code: YAYMONDAY at stride rite. Not valid at Stride Rite Specialty or Outlet stores. Styles and selection may vary. 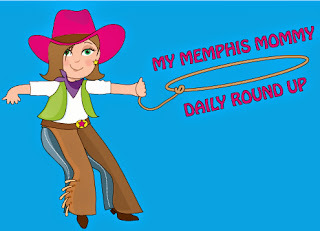 Excludes sale items, Crocs, Frozen by Stride Rite, Kamik, and Merrell. Online, striderite.com savings are applied at checkout with promo code YAYMONDAY. Offer cannot be combined with any other special offers or coupons. Offer may not be applied toward previous purchases, egift certificates, gift cards, shipping or taxes. Sales tax does not count toward qualifying amount. Consumer pays all applicable sales tax. Offer valid for in-stock merchandise only. Other exclusions may apply. Offer ends on 12/15/14 at 11:59 pm PST. It's BACK! Right now you can get TWO Finish Line NCAA Fleece Hoodies for only $35! Pick by color, team and school in multiple styles for each, in men's and women's sizes. BUT hurry sizes will sell out FAST! If you plan on doing a lot of shopping, use the codes below to save even more! For example, purchase 6 college fleece items 2/$35, use promo code TINSEL10 and pay only $95 – that's $15.83 each + tax – WOW! Cheryl's Cookies - Up to 30% off + Free Shipping! Need to send a last minute holiday gift? Today only, Cheryl's Cookies is offering up to 30% off + FREE Shipping on the entire Holiday Collection with code: HOLLYSHIP. Valid 12/15 only. I am loving this Cheryl's Cookie Flower Penguin Centerpiece for only $39.99 Shipped (Retail $49.99). Best Buy - Microsoft Surface Pro 3 - 12" - Intel Core i5 - 128GB $999.99 & $100 Gift Card + Free Shipping! Thinking about getting the new Microsoft Surface Pro 3? For a limited time, Best Buy is offering a $100 Gift Card with the purchase of the Microsoft - Surface Pro 3 - 12" - Intel Core i5 - 128GB - Silver for $999.99 + Free Shipping. Shoes.com - 25% off + Free Shipping! Now through December 18th, Shoes.com is offering 25% Off + Free Shipping with code TAKE25. I love this Aerosoles Women's Ride Line Boot for only $48.74 Shipped (Retail $119.95) with code: TAKE25. •All regular priced merchandise from the following brands: Birkenstock, Born, Born Crown, Carolina Shoe, select Clarks styles, Dansko, Double H, Dr. Scholl's Collection, Dr. Weil by Orthaheel, Feetures, Florsheim, Frye, Isola, Jack Rogers, Johnston and Murphy, Keen, Kork-Ease, K-Swiss, Mephisto, Merrell, Minnetonka, The North Face, Nurse Mates, Olukai, Red Wing Heritage, select Rockport styles, select Sam Edelman styles, select Skechers Work styles Sofft, Softspots, Sorel, Taos, select Timberland styles, Timberland Pro, UGG Australia, Unstructured by Clarks, Vintage Shoe Co. and Vionic with Orthaheel. Looking for a basketball goal? Today only, get this Lifetime 44" Pro Court Height-Adjustable Portable Basketball Hoop for only $89.00 (Retail $179.00) + Free Shipping. I am loving this comforter deal. Hurry over and get this Kelsey 7 Piece Comforter set for only $49.99 (Retail $100.00). Available in King & Queen. Plus, use code: HOLIDAY30 for an additional 30% off. Making this set only $34.99. This looks like so much fun. Today only, get the Playhut Luxury House with Accessories for only $49.99 (Retail $99.99). WOW! If your looking for a fitness band, hurry over to Best Buy today only and get the Jawbone - UP Wristband for only $29.99 (Retail $79.99).